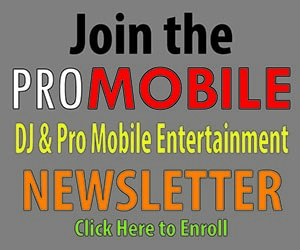 Pro Mobile DJ and Mobile Entertainment News is advertiser supported. We appreciate it when you review their offerings and patronize their brand and products. National Association of Mobile Entertainers.